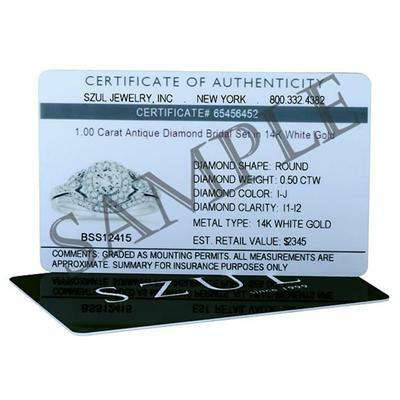 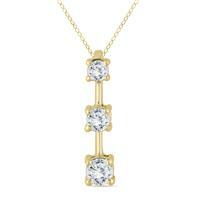 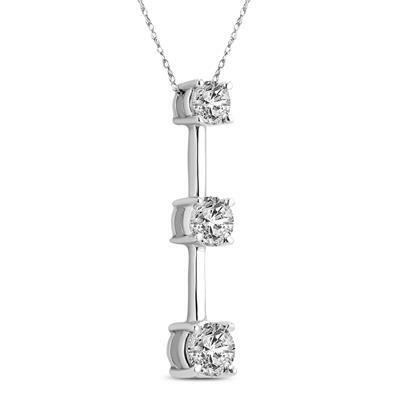 A large 2 carat total weight three stone bar pendant crafted in 14K white gold. 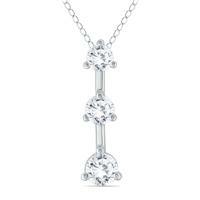 A big diamond drop pendant with 3 sparkling white round diamonds. 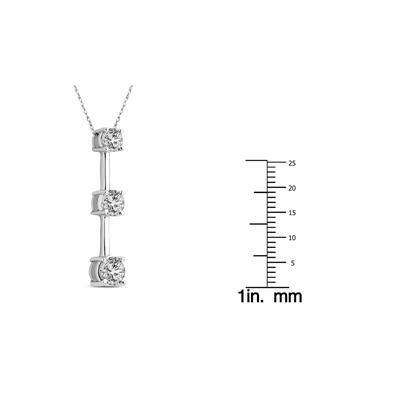 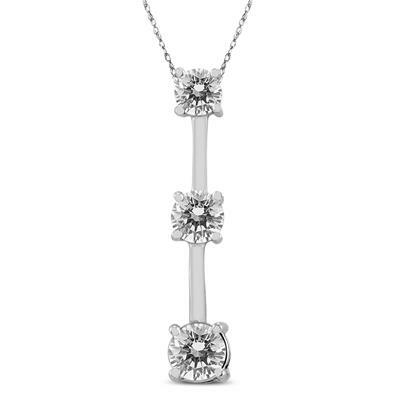 The pendant hangs from a durable chain also crafted in 14K white gold.